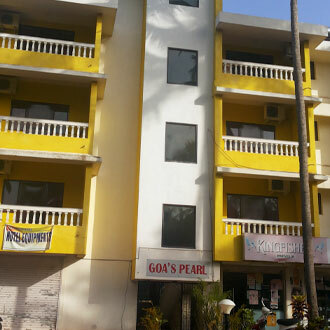 Located within walking distance of the beautiful Coco beach in Goa is Goa's Pearl. The hotel has an imposing 4 floored building housing 21 well appointed rooms. Guests can indulge in a refreshing dip at the pool, enjoy a delicious meal at the restaurant & take a leisurely stroll in the garden. Other amenities include breakfast services, airport transport on a chargeable basis, 24hr front desk service, currency exchange facility, free and secure parking, backup generator & a travel counter.